Objective: The purpose of this study was to investigate the morphological characteristics of deciduous teeth of children in Chennai and Hyderabad, by establishing normal data on the mesiodistal and buccolingual crown dimensions in 3-5 year old children. Materials and Methods: Study casts of 200 children (100 boys and 100 girls) from two groups (Chennai and Hyderabad) were used in this study. Digital caliper was used to measure the mesiodistal and buccolingual dimensions. Results and Conclusion: Significant differences were found in the mean values of mesiodistal and buccolingual diameters of primary teeth, in which boys generally had larger crown diameters than girls. Background: This study was designed to compare 2% sodium fluoride (NaF) iontophoresis with other cavity liners. Materials and Methods: This study was carried out in 30 patients in the age group 10-14 years with bilateral carious permanent first molars. 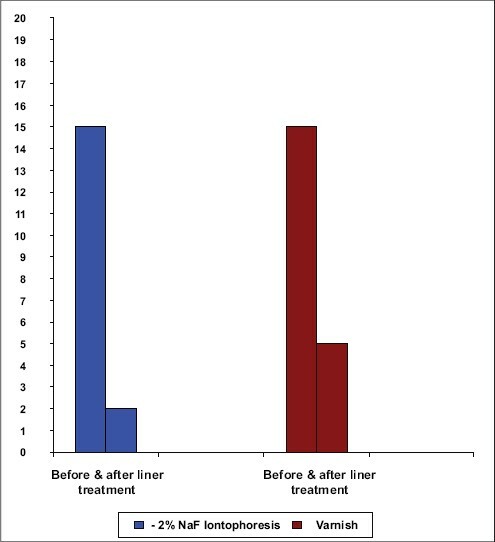 The study evaluated the use of 2% NaF iontophoresis as a cavity liner and also compared its desensitizing effect with varnish and an adhesive bonded liner. Sensitivity gradings were done on a subjective verbal rating scale. Results: All the liner treatments decreased the sensitivity following liner application. However, decrease of sensitivity in the case of 2% NaF iontophoresis was more compared with that of varnish and adhesive bonded liner. The results were statistically significant. Conclusions: It was found that 2% NaF iontophoresis was more effective in reducing the postoperative sensitivity compared with that of varnish and scotchbond multipurpose. Painless dentistry, minimal intervention and thus giving comfort, relief and solace and instill positive attitude toward dental treatments, are some of the factors justifying the specialty of pediatric dentistry. Thus, this in vitro study was undertaken to compare the efficacy of a new chemomechanical caries removal agent, Papacarie (Formula and Acao), with conventional slow-speed rotary instrument (bur). Papacarie is a new formulation and has the main active ingredient papain, an endoprotein with bactericidal, bacteriostatic and anti-inflammatory actions. 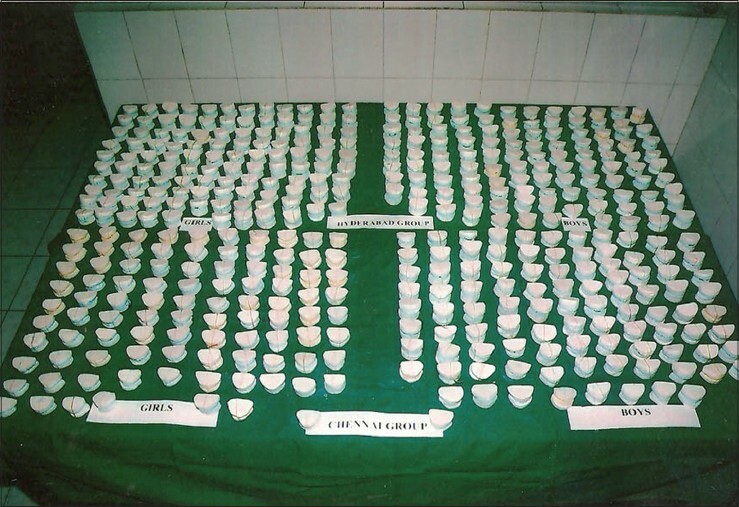 Twenty extracted human molar teeth with deep dentine caries and no enamel coverage were selected for the study. After the preparation of the teeth and removal of the caries with the respective methods, they were decalcified, dehydrated and embedded in paraffin blocks for histologic studies. Serial sections of 5 μm thickness were examined for the presence of bacteria under light microscope. 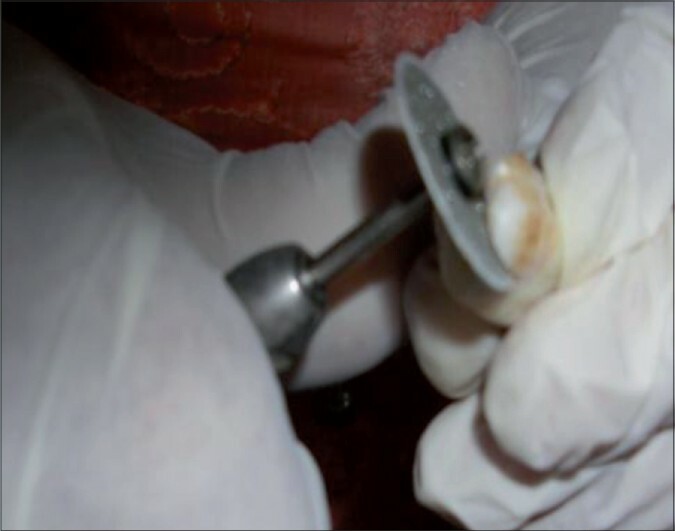 Though complete removal of caries was achieved significantly in both the methods, there was less marked destruction of dentinal tubules in chemomechanical caries removal method by Papacarie. Thus, Papacarie is recommended as an efficient, easy to perform, comfortable and less destructive solution for the patient seeking an alternative to the conventional method. The aim of the study was to evaluate the extent of surface zone remineralization and the effect of fluoride at the inter-proximal adjacent tooth surface, using restorative materials FusionAlloy, Ketac-Fil and Heliomolar. Ninety extracted molar teeth were used of which 45 were placed in artificial caries for 10 weeks. The remaining 45 teeth were filled with the respective restorative materials, mounted with the artificial carious teeth in proximal contact with plaster and placed in artificial saliva for a period of 28 days. Finally, sectioning of artificially carious teeth was done mesio-distally and observed under the optical microscope and scanning electron microscope. Comparison among the groups was done by one-way analysis of variance [ANOVA] and Fischer's F test. Intercomparison between the groups was done by using Dunnett's t-test. Results obtained from transmitted electron microscopic and scanning electron microscopic observations were almost similar with the Ketac-Fil and Heliomolar showing better results in surface zone remineralization compared to FusionAlloy. Also, Ketac-Fil is a good material in releasing fluoride to remineralize enamel when compared to Heliomolar and FusionAlloy. Thus, it can be used mainly in class II cavity restorations of primary and permanent dentitions due to the potential ability of fluoride containing glass ionomer cements and composite resins to remineralize incipient carious lesions on adjacent teeth. In this investigation, serum immunoglobulin G (IgG) and immunoglobulin A (IgA) titers, as well as total immunoglobulin concentration (IgG + IgA + IgM), were found to be raised with the increase in the number of dental caries. 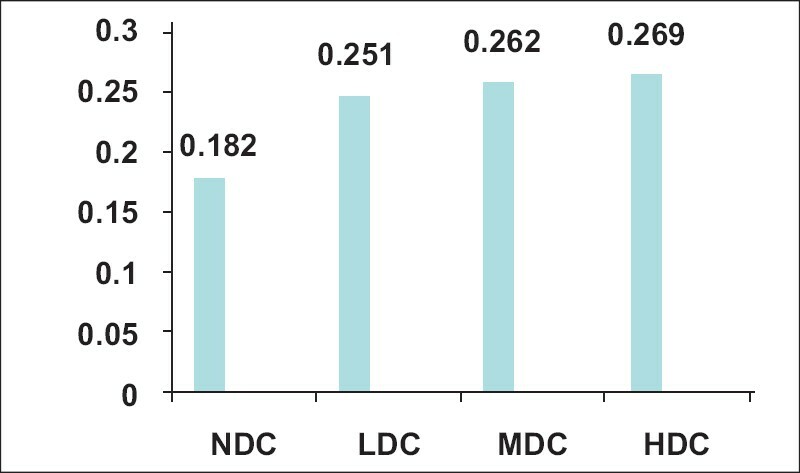 Only the total serum antibody titer in high dental caries (HDC) group was found to be significantly raised as compared to no dental carries (NDC) group. Although the IgG and IgA titers were raised in blood with the increased number of caries, the results were not statistically significant. However, we could not find any correlation between serum antibodies and dental caries except that there was an increased trend of serum antibodies to GTF with the increased number of carious lesions. Dental caries comprise the single most chronic disease affecting children today. Evidence increasingly suggests that for successful prevention of dental caries, preventive interactions must begin within the first year of life. Pediatricians are responsible for the primary care of the child and are well positioned to begin this process if they recognize and encourage good preventive habits and refer appropriately. 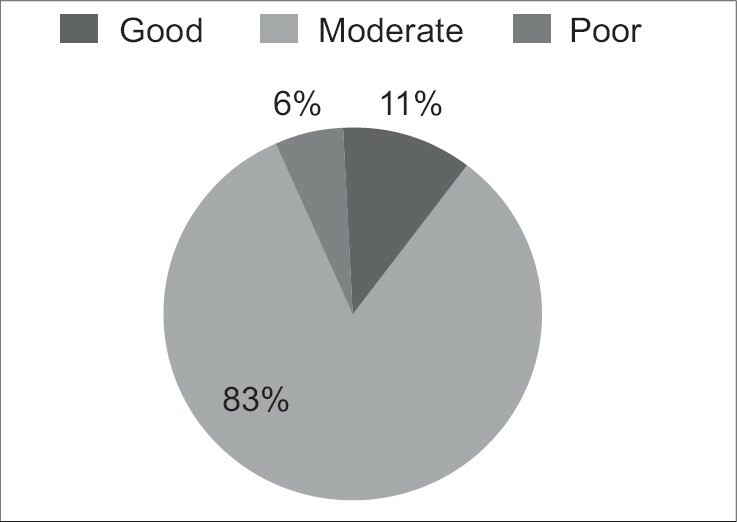 Insufficient information about their role in prevention of dental caries led us to conduct a survey among pediatricians in Bangalore urban to determine their knowledge, attitude and practice in prevention of dental caries. 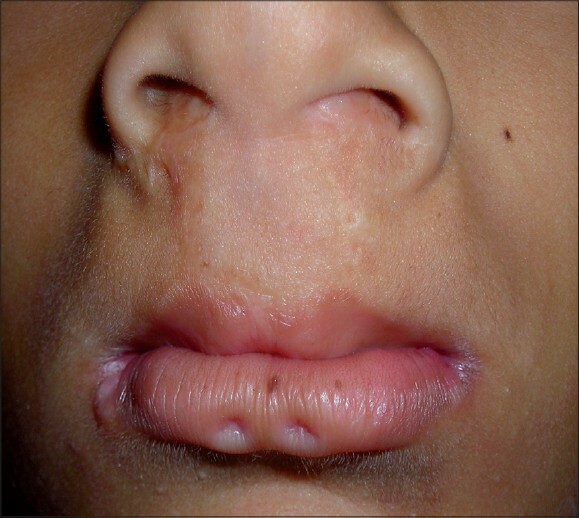 Van der Woude syndrome (VWS) (OMIM 119300) is a dominantly inherited developmental disorder that is characterized by pits and/or sinuses of the lower lip and cleft lip and/or cleft palate. Mutations in the interferon regulatory factor 6 gene (IRF6) have been recently identified in patients with VWS, with more than 60 mutations reported. We report the phenotypic variants of the syndrome in a family and present the application of the multicolor chromosome banding (mBAND) analysis in the identification of complex intrachromosome rearrangements of chromosome 9 in a child with VWS. The authors conclude that increased heterochromatin on chromosome 9 did not have any effect on the phenotypic expression of the syndrome in the family that was studied. Management of trauma to an immature permanent incisor is a challenge, especially when the pulp is necrotic. The aim of this study is to discuss the management of fractured maxillary right and left central incisors with immature root apex. Radiographic evaluation revealed that the tooth 11 had convergent apical walls, whereas tooth 21 had parallel apical walls; both the incisors were treated with pure calcium hydroxide paste to induce apical development. Follow-up clinical and radiographic examinations confirmed apical barrier at 3 months. 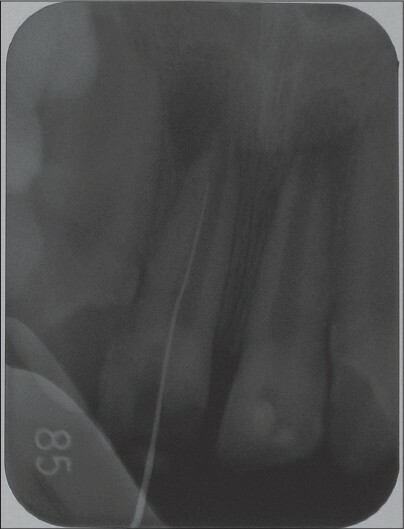 Radiograph of tooth 11 with convergent roots showed continued apical development, whereas tooth 21 showed apical bridging, following which root canal was completed in both the teeth. Therefore, in view of the simplicity of this method, we believe that calcium hydroxide can be reemphasized as one of the treatment alternatives for fractured nonvital immature permanent incisors to induce apical barrier. Early orthodontic interventions are often initiated in the developing dentition to promote favorable developmental changes. Interceptive orthodontic can eliminate or reduce the severity of a developing malocclusion, the complexity of orthodontic treatment, overall treatment time and cost. Premature loss of deciduous tooth or teeth can often destroy the integrity of normal occlusion. There are many space regaining and maintaining devices mentioned in literature. In this article, I present a simple space regaining method by a piece of nickel titanium (NiTi) wire bonded between the teeth in active loop form, and the unique shape memory property of NiTi wire will upright or move the teeth and the lost space can be regained easily. 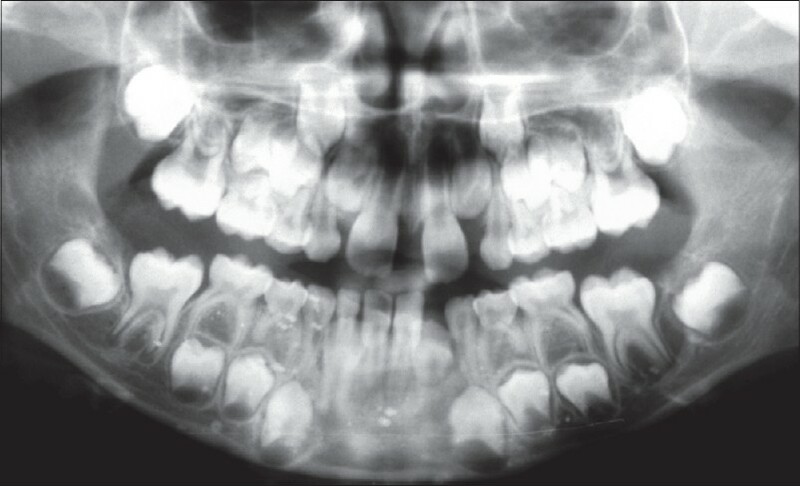 Objective: The paradental cyst is an uncommon lesion associated with the permanent mandibular first or second molar in children just prior to tooth eruption. 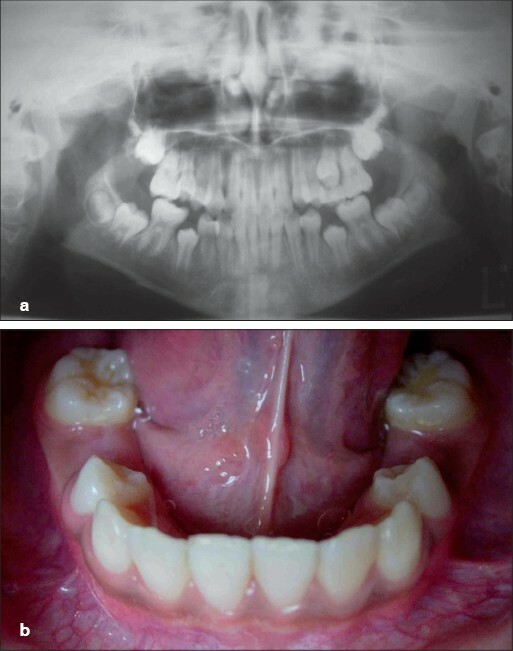 The purpose of this article is to present two cases of paradental cyst affecting the buccal aspect of permanent mandibular first molar of both young patients. We also discuss diagnosis, treatment and radiographic findings of the cases. Patients and Methods: In both cases was made only the enucleation of cyst without extraction of the adjacent tooth. Lesional samples were sent for histopathologic analisis. Results: The histopathologic analisys of both cases, revealed a lining of hyperplastic, nonkeratinized squamous epithelium with heavy, dense inflammatory cell infiltrate in the epithelium and connective tissue wall. The histopathology associated with macroscopic and radiographic examination permitted the definitive diagnosis of a paradental cyst on the mandibular left first molar. A follow-up of 1 year was carried out in both cases and no recurrences was noted; in the first case was observed the correct eruption of the mandibular permanent left first molar. Conclusions: A clinicopathologic correlation, incorporating the surgical, radiographic, and histological finding, is required to obtain the final diagnosis of paradental cyst. Today, the treatment of choice is simple enucleation and thorough curettage of the cyst without extraction of the involved tooth. Unusual root canal morphology in multirooted teeth is a constant challenge for diagnosis and successful endodontic treatment. Presence of extra canals, lateral canals, deltas is commonly encountered but the possibility of existence of fewer number of roots and canals also exists. This clinical report presents a maxillary first molar with an unusual morphology of single root with single canal. 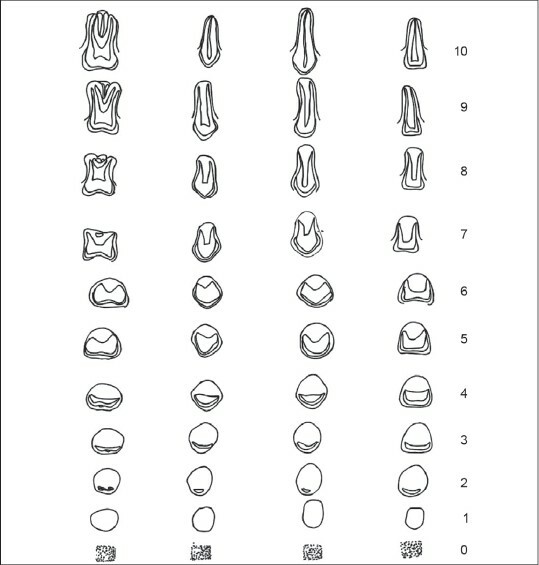 This report also highlights the role of spiral computerized tomography as a method to confirm the three-dimensional anatomy of teeth. Fibrous dysplasia is a disturbance of bone metabolism that is classified as a benign fibro-osseous lesion. Fibrous connective tissue, containing abnormal bone, replaces normal bone. The etiology of fibrous dysplasia is unknown. The radiographic appearance of the irregularly shaped trabeculae aids in the differential diagnosis. 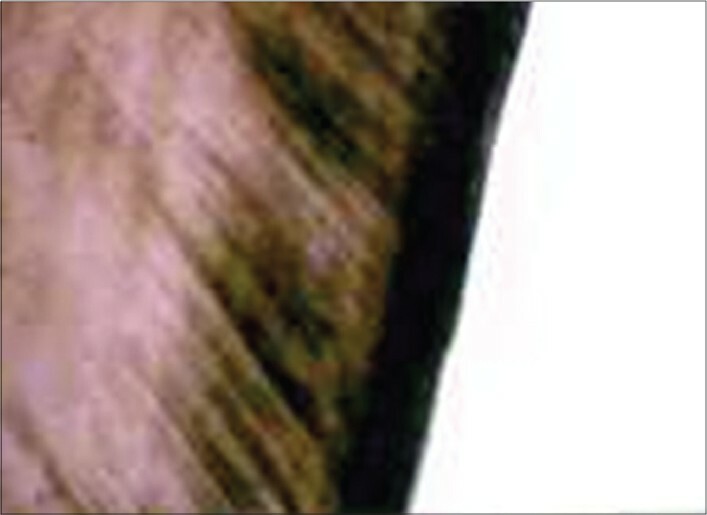 Occurring most commonly in the second decade of life, the lesions of fibrous dysplasia can be surgically recontoured for esthetic or functional purposes once they become dormant. Here, we report a case of bilateral fibrous dysplasia in a 7 year old male patient and its diagnostic work-up. 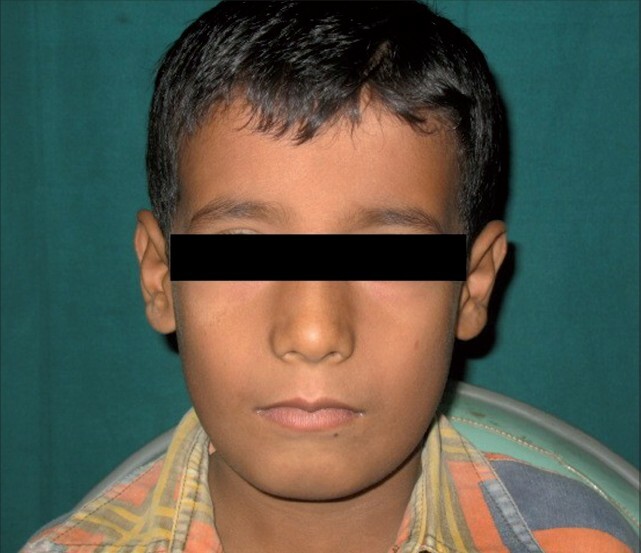 Tongue tie, also known as ankyloglossia or ankyloglossia inferior, is a relatively common finding in pediatric surgical outpatient clinics. It occurs as a result of a short, tight, lingual frenum causing tethering of the tongue tip. It is a common oral finding in infants and children, which is often neglected. Although most cases resolve or are asymptomatic, some patients develop articulation problems and other concerns related to poor tongue-tip mobility. In this article, we report on a 5-year old girl with a tongue tie, who underwent frenectomy using monopolar diathermy under local anesthesia without any postoperative complication. 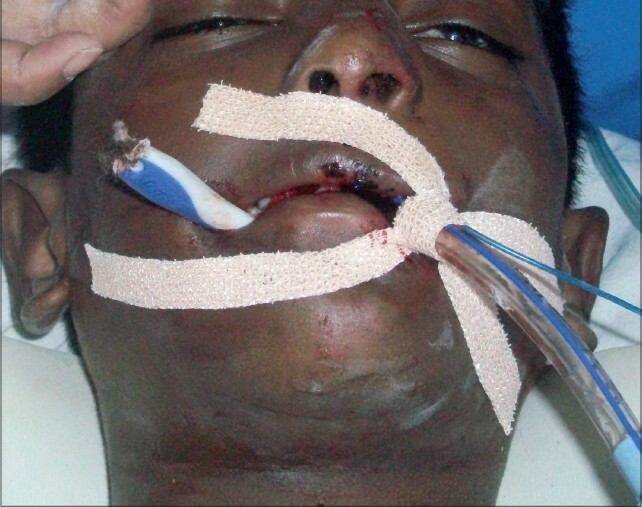 We present a case of 10year-old boy with oropharyngeal injury caused by a toothbrush which penetrated the parapharyngeal space. Initial examination revealed broken end of the toothbrush in oral cavity with the head of the toothbrush having bristles, beyond the soft palate. Tongue and palate were lacerated and there were blood and oral secretions in the oral cavity. Patient was having bradycardia. Computed tomography (CT) scan showed the toothbrush head near the carotid artery, the carotid being laterally displaced. The foreign body was surgically removed without any intraoperative or postoperative complications.